I made a few attempts to search and find an existing post on my topic, but no luck. Also not sure if this is the right forum for this question or not. 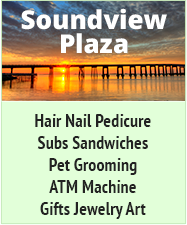 The DW and I have been to Navarre several times and have enjoyed it very much, so much so that the DW has been "window" shopping in Zillow, Trulia etc... at places in and around Navarre. We are both in our early 50's and will retire when we hit 59 1/2. We live in KY now and not really sure if we want to leave the area or not, we just fall in love with Navarre each time we visit and definitely see the lifestyle in that area as something we would like. Home prices in the area seem very reasonable and the thought has crossed or mind to maybe buy now, with the idea to rent it out until we retire and maybe take the snowbird approach then. Well the reason for my post is to maybe find out from some of you lucky locals some of the pro’s and con’s of the area and of being a landlord (if we chose that path). We have always stayed at a condo on the beach, is living “beach adjacent” a similar experience or is it day and night. April 2009 was our first trip to Navarre. We would like to visit several times a year but alas we cannot. Can only afford every other year. The pro and con of being a landlord? We could write a book... two books even! If you DO become a landlord, the bottom line is what matters; It's a business. There are a couple of "gotchas" that you can stumble into... If you rent out via one of the main agents ask them if they enforce the "two week rule" as not all do. This is the state law that prohibits you from enjoying your property without paying yet more in taxes if you rent it out yet stay there yourself for more than 14 days (or nights, I don't recall which now). Note that if you buy on the island, you won't be buying the land (sand?) underneath your property. It's leased. 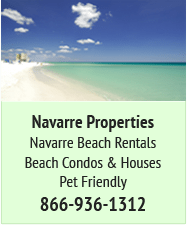 Market any rental aggressively and join the Navarre Beach Leaseholders and Residents Association http://www.navarrebeach.org/ to see all the fuss is that I and others are talking about when it comes to lawsuits. The company that does the rentals for us (Century 21), do stick to the letter of the all the laws regarding these and other matters, which I think is a good thing. I don't want you to think that I'm painting a too dark picture as it's the same for any business, just know that it's not all sweetness and dancing about on the sand. Thank you for the reply. We would love to be on the island (that is where we have stayed when we visit), but those are a bit above our price range. Our thoughts are that a house not on the island or without direct access to the beach would be difficult to rent, so the idea of renting it until we retire may be a unrealistic one. That may leave us with letting the place set empty a lot, which is also not a good idea . We have been looking through Zillow and the like but I am not sure if these websites give me a real picture of home values in the area. From A Buick 8, about 10 years ago, I became addicted to Navarre Beach and I too wanted to buy a place on the island, however, after doing my due diligence with my bank account, I came to the realization that for me and my budget, it was better to live AT the beach vs. ON the beach. When the time is right for you, I would recommend that you consider a Sound access community on the Mainland. You can find a single family home, fee simple (you own the sand) with Sound access and views. I have wonderful neighbors who know that I'm a part-time resident and they look after my house and give me updates during periods of inclimate weather. 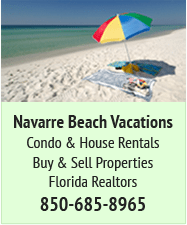 With the savings, I am able to keep my SUV in Navarre along with jet skis and other water sports equipment. Sure you have to drive to the beach, but big deal, my friends who live on the beach have to transport their chairs, coolers, etc. down to the beach when they go. I am about 5 1/2 hours away so I'm able to get down to the house once to twice a month and take care of routine maintenance. Lawn care is very affordable, but I usually handle that myself. 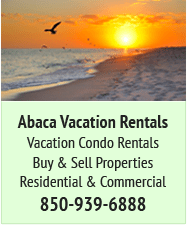 This option is not an income producing rental opportunity, but is an option to have a place in Paradise. Over the years, I've had friends down and once they experience Navarre Beach and see that you don't have to live on the beach, several have bought in my neighborhood. Just an option, when the time is right for you! Life is too short to shave with a dull razor! If move to the mainland of Navarre - especially inland a little, not on the sound - you may be able to be less concerned about possible hurricane storm surge, etc. Since the hurricanes (Ivan-Dennis) all new construction has to have the first "living" floor at least 13-feet above sea level - pilings or ??? We bought on/near the golf course at 30-feet above sea level so "safe" from storm surge. Still love it here as can get to/be on, the beach in 15-minutes (unless a crazy traffic weekend). If owning and renting out on mainland - the target is not short term vacation rentals, but long term (year long) residence leasing - so could get in on today's pricing - but house would not usually be available for personal vacation use. (the 14-day thing). Last edited by Pete on Fri Nov 07, 2014 7:54 am, edited 1 time in total. Hello, I'm new here too...and a recent owner as of July. I've been silent, but have found this forum to be very helpful. I'll chime in with a few thoughts and lessons learned through our recent buying experience. My wife and I starting considering a purchase when we first visited NB a couple years ago....we noticed (like you did) that prices were reasonable, and noticed a small increase when we returned this year...so we decided the time was right. What it boiled down to for us was answering the question "what is the dream?" For us "the dream" was being on the island and on the water. Sure having a stand alone house was what we would love to of had...but a condo in a high-rise is what makes being on the island and on the water feasible for our price range. 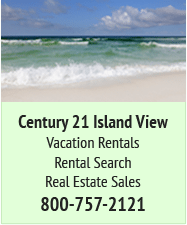 From what I've been told, if you plan on renting to vacationers, you'll struggle to keep it filled if you aren't on the island and on the gulf. That made sense to me. If I'm going on one vacation a year, you better bet I'm going to want to be able to look out my balcony and see the gulf...right? So my 2-cents, if rental income is important to you and you aren't completely averse to a high-rise condo then I suggest going that route. Ask a seller to provide you with their gross receipts from the past few years, it will give you an idea as to what to expect. And ask yourself "what's the dream?" For us, that made the decision an easy one. Again a big thank you for all of the replies. We have talked about a condo approach, but we both are looking for a single family home (at this time). Also seems like getting something that could be used as a vacation rental is not in our budget. We lived in a Louisiana flood zone for 34 years, so I know about flooding, we started looking in Navarre for place to stay for a few weeks at a time, we found just what we wanted up on Hwy 98 and bought a 3 bed townhouse, and they are still building about 3/4 miles east of the bridge, we are up 18ft, the grass is cut for $175.00 every 3 months, 10mins to the beach close to gas stations, Tom Thumbs, Family Dollar, how much, thats up to you, it's lovely. Well, Sabbia Beach is a loooooooong way from here, Richi, pretty much at the opposite end and on the opposite side of the State, in fact!! It's a very different vibe there, too.